Innotas is able to handle a mid-size organization extremely well, but due to its poor searching features, I can see potential problems for extremely large organizations. So a key question to ask would be what is the size of your organization? A lot of tasks are also non-automated (such as dashboard refreshing and filter time updates), so the organization should also be willing to have a decent number of employees who will maintain the system. Also, depending on the budget or expertise of the organization's employees, an organization may want to consider a newer or more advanced database software. Despite Innotas doing what is required of it reasonably effectively, it is likely better options exist. Incredible tool for the integration of project, portfolio and asset management. Talented, professional and service oriented support staff. Always focused on technological advancement and product improvement. As our organization's primary Innotas admin, the most common suggestion I heard from our project managers was the lack of capability to roll-up projects into a master plan. Other similar concerns between the functionality of Innotas and MS Project were raised as well, such as the ability to mulit-select, tab to fields and customize project plan columns. Though I improved upon my ability to create desired reports for various consumers, the structure and navigation of the reporting engine was time consuming to learn. I don't, however, have any specific suggestions for improvement in this regard. The last version of Innotas that I used before I left my position made it difficult to view as much of the project plan as was ideal due to the real estate used by the application. It is very common for specific project tasks to be designated as a capitalized or operational expense despite the parent task under which it is created. The system's inability to designate these individual tasks as capitalized or operational expenses made for a cumbersome and somewhat unorthodox creation of the project plan. For instance, rather than having a single development phase we had to create two - one for Capitalized development work and Operational development work. Not everyone uses it to its full capability. Innotas is very rarely down if at all. Tim Szrejter is the best!!! Tim Srjezter was an excellent trainer. I worked with Tim Szrejter and he was the BEST integrator!! Salesforce and Innotas are somewhat similar, but there is a distinct difference. Saleforce's chatter feature is extremely helpful. Allows our growing team to have more client information and context accessible during client interactions. Projects were canceled or greenflagged based on the information tracked within Innotas. Had effects of at least 6 figures of returns because of the software. 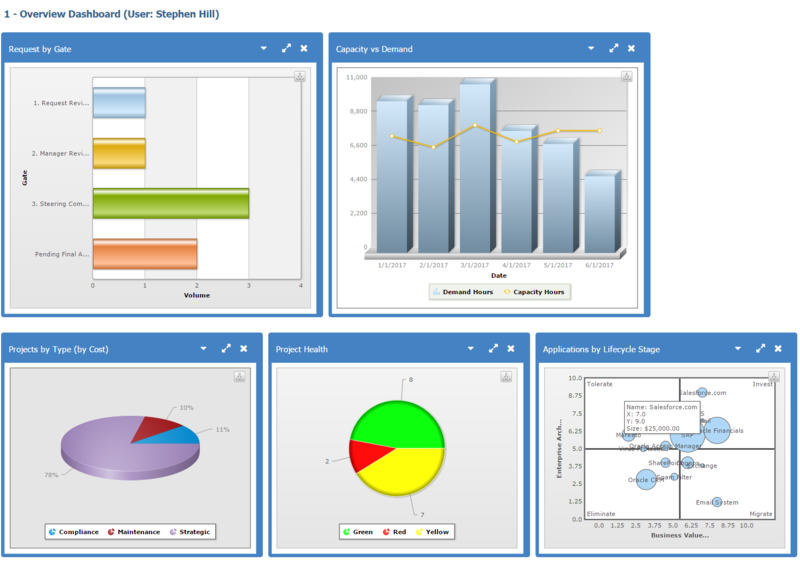 Configurable reports and dashboards that can be shared among team members or stakeholders. Innotas offers flexible pricing based on user types.